You are here: Home / Business / How many cake orders can I take? How many cake orders can I take? How many cake orders should I take? 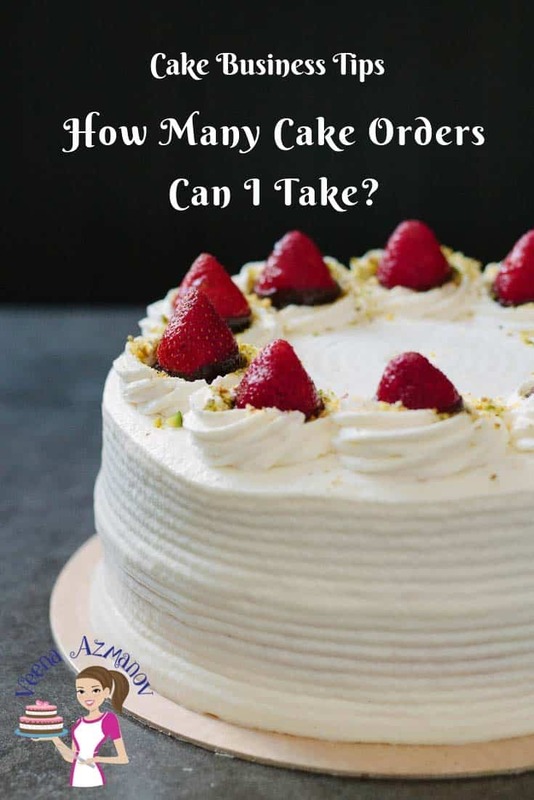 Having a cake business from home can be difficult because you managing home and business which raises the question, how many cake orders can I take? to maintain a healthy standard of quality and quantity. 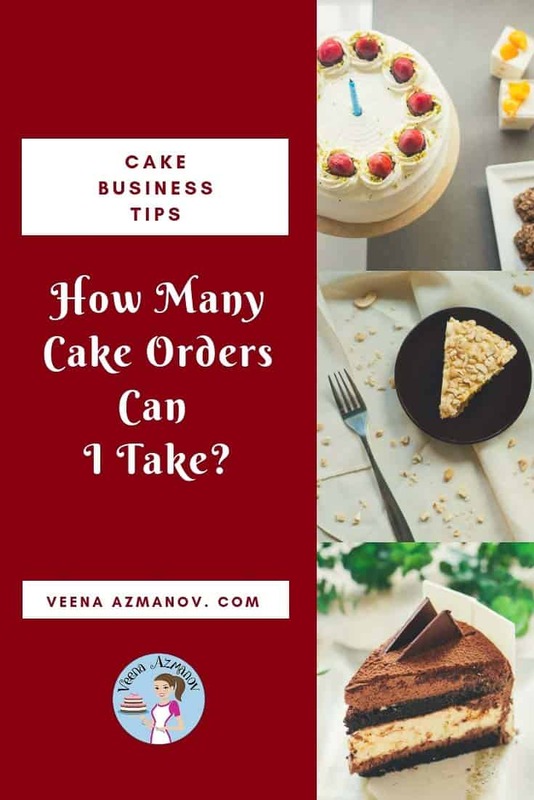 Cake Business Tips, How many Cake Orders Can I Take? How many cake orders a week? The business of cake decorating has come a long way. Ordering a cake for your celebration wheater it’s as simple as a birthday, anniversary or wedding is now a tread. No more do we just want a round cake but rather a sculpted cake that fits a theme, style or budget. What does this mean? Quick simply that there is enough business for everyone no matter how many cake decorators there are in a single place, it is possible to get overbooked. One is the positive aspect – you know who doesn’t like being overbooked? Everyone wants to be that popular cake decorator. The second is – while not negative – at what cost? And what is it worth? Are you making money? Do you have a life? Do you sleep enough? Is it affecting your health? A big reason why finding that balance is very important. Over the years of my small cake business life, I have lived on both sides. Frustrated about not having enough orders as well as being overbooked. Have you seen a similar post on your Facebook newsfeed from another cake decorator and then been so jealous that she has cake orders and she’s busy? That does sound crazy, doesn’t it? honestly, if this is a one-man job it is crazy. Think of the number of cakes being mixed, baked, frosted, covered in fondant and decorated. Often all these cakes are done in one week. Wow. It can be crazy. While it sounds so cool. It’s very easy to get carried away and overbook yourself; only to feel guilty that you have not been able to give your kids the time and attention they deserve. Or spend time with your partner, or get a good nights sleep. I learned my lessons the hard way. I’ve never overbooked myself to the excess as those Facebook post above but I have felt overwhelmed with orders and it has been more than I can handle. Staying up late at night after the kids are gone to sleep was an almost regular feature at one point. Waking up and going straight to work on a cake without a cup of tea was not fun and nor was working so long on orders that you forget to have lunch or dinner. The worst, of course, is that you are so overbooked you cannot take a break to attend to kids. What can I do? There are orders coming in. I don’t want to say no! Afraid I might lose a client. Like I said at the beginning of this post, there is enough business for everyone so we don’t need to be scared. If you are getting more orders than you can take – ask why? Are you charging less than your competitors? Perhaps pricing your cakes below the market value? Are you underpricing your cakes? Perhaps it’s time to hike your prices so you get the right kind of clientele. First, decide how many hours of the week you wanna work. Then figure out how many cakes can you make in those number of hours. Once you know the number of cakes. Divide that number by the number of days. Often we cake decorators are most busy on the weekends, so instead of diving by 7 days – just use the days that keep you most busy. Decide how much cake you bake on an average in a week. Pick one or two of those days of the week to bake. Only do baking so you work more efficiently. Tip – If you bake from scratch you can keep the cake for a day or two in the freezer and it will still be fresh for many days. I did all my baking on Monday and Wednesdays. Figure out which of the common things you can do in bulk. What takes up most of your time? Personally, I find, the things that take up most of my time would be the cake ordering process. The back and forth with customers about pricing and design which should be a fun process can be very frustrating when people don’t’ know what price to expect and what they can get from you at a certain price. My solution – I put my cake prices on my website and my contact form was a cake order form. 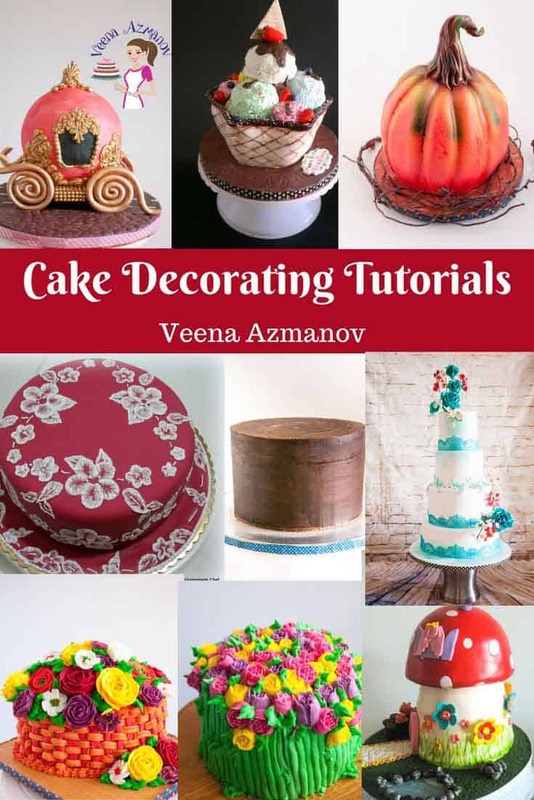 Having the cake pricing guide on my website (with the disclaimer that final price is subject to change) a few things get automatically taken care of. You filter those customers that do not fit your budget. They see your price guide and realize they need to find another cake decorator. Sounds scary but it’s the truth that – not everybody is your customer. When people hit the contact form on your website – they have a form to fill. This saves a few emails back and forth with me asking them the time, date, theme, price budget, colors etc. So now when I get a cake inquiry – I get more information like – Type of cake, the number of servings, date of the event, theme, colors, Pick-up or delivery. With this, my very first response to the customer is often the price and design option. This is the other thing that really took a lot of my time and it took me a while to find the right solution. Now, my solution may not be your solution but hopefully, it will give you an idea of what you need to do. When I started, I was so proud of my cake flavors I did a free tasting. Which means if you wanted a cake you let me know and I’d be happy to have you over and treat you to some cake. You can decide if you want to order or not. The problem with this was that I did a lot of tasting but very few orders. Why? well, tasting is free so for some… it’s let’s go eat some free cake. Not everybody is like this but I’ve been unfortunate to have quite a few. Later, I changed my policy to – cake tasting only for a wedding cake and only orders over 60 servings. This was again good but I still did quite a few tasting with no orders. And most of the orders I lost were because my cakes are no kosher certified. The people who come to taste cake don’t necessarily a Kosher certificate it’s the venue that won’t accept the cake into their premises without one. So often, I’d get a message back saying – we love your cake but since your not kosher certified we can’t order from you. So I changed my policy again – Cake tasting is NIS 50 – you get three cakes and frosting of the week in a takeaway box. If you come back to order a cake from me – this NIS 50 gets discounted in the final price. This was it! I did only 2 tastings in 4 months and I was still fully booked. Turns out having to pay for tasting also filtered out those that needed a Kosher certificate as well as those that were not so serious about me as their cake decorator. For me, the big question is how many cake orders can I take without compromising quality? Let’s face it, we are all humans and while some of us can work fast, some of us are exceptional at multi-tasking there is still that fine line that says – too much. And when you cross that line, often we have to compromise something else. Perhaps quality? Ask yourself, if you had fewer orders would your cakes be better in terms of quality of your work? If the answer is yes, then that’s something to think about. What if you did fewer orders, offered the better quality of workmanship as a result were able to charge more? Is that a possibility? How many cake orders do you take? I’d love to hear your take on what is your threshold for cake orders. How many cake orders do you take? and how do you manage? Do you have any tips to share on how you manage your cake order process? Cake Pricing – How much do I charge for my cakes? Effective communications and customer service in the business. What is NIS 50? It is interesting reading about your cake history. And you live in a different country so you have some different hurdles to overcome. My problem is that i decorate cakes at a grocery store and it is a conflict of interest to also do it at home, so i can’t really publicize. I hope to eventually get another job and decorate at home. But tell me, how did you get the form on your website that people could fill out? Thanks so much for sharing!